The CEER 2014 Program Committee is responsible for developing sessions such that each presentation not only relates to the session theme but complements other presentations in that session. 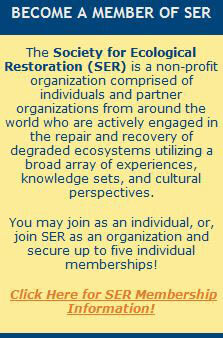 CEER 2014 would also like to invite members of the ecosystem restoration community to assist with program development by proposing and organizing sessions. Session topics are provided on the Topics Page. 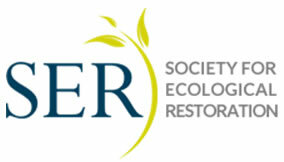 Acceptance of Proposals for Dedicated Sessions will be primarily based on an evaluation of the proposal’s content, structure, and overall relevance to the overarching goals of CEER 2014 – specifically, preference will be given to those sessions that are integrative, cross-system, and/or promote the transfer of regional-based knowledge to a broad audience. Additional criteria for evaluation will include the session’s potential for generating useful results/dialogue among conference attendees, and expected level of interest in the topic. A list of Topics & Sub-Topics being featured at CEER 2014 is outlined on the Topics Page. However, Proposers should not feel limited to these areas - we want to capture emerging topics and new ideas critical to ecosystem and ecological restoration. Each session is 90-minutes long, and will be comprised of a 10-minute introduction and four, 20 minute presentations. Dedicated session organizers are asked to identify five potential presentations - four confirmed and one additional talk, which will be used as a backup presentation for the session. We are frequently asked if the moderator can also give a presentation. We do not recommend this practice. It is difficult to manage a session, and be responsible for giving a presentation in the same session. Furthermore, most individuals must give a presentation in order to obtain approval to attend the conference. We want to maximize the number of presentation slots allocated for this purpose. Please keep this in mind when proposing speakers for your dedicated session. We are allowing one oral presentation per person, and ask that no one be scheduled to speak twice. This maximizes the number of individuals approved, and helps further the likelihood they’ll get permission to travel to the conference. If you know a colleague is proposing a session on a topic similar to yours, feel free to talk amongst yourselves in advance to reduce the risk of two session organizers double booking a speaker. When in doubt, contact one of the program co-chairs, Cheryl Ulrich or Mark Wingate for direction. A Panel Discussion may also be submitted for consideration as part of the Call for Dedicated Sessions. communicating the ASSIGNED SESSION NUMBER to your invited presenters so they can indicate this number in the online form when submitting their abstract. This is imperative to assist us with assuring the right speakers are assigned to the correct session. informing your invited presenters they are permitted to give ONE ORAL PRESENTATION ONLY to allow as many people as possible to do so. If an individual is contacted by more than one session organizer to speak – they will need to choose only one session in which to present. making sure your speakers register for the conference by the deadline and letting them know in advance they are required to pay the full registration fee to attend the conference; One-day registration fees will not be offered. providing organizers with an EXCEL grid of your confirmed session agenda by February 10, 2014. NOTE: We will provide you with a template into which you enter the formal title for your session, the name of the moderator, all speaker names and speaker talk titles. This grid will then be placed into the MASTER compilation of all dedicated sessions to be scheduled in the agenda. We will email you the list of received abstract submissions periodically in December and as the submission deadline nears. You will need to peruse the list and quickly verify all of your speakers submitted abstracts. If not – it is your responsibility to contact them and remind them to submit an abstract for their talk. After the submission deadline passes, we will email you a TEMPLATE agenda grid to fill in the session title, moderator name, and speaker names and talk titles in the recommended order. This completed AGENDA GRID is due back to us absolutely no later than Monday, February 10, 2014. THIS DEADLINE WILL NOT BE EXTENDED. NOTE: All dedicated session organizers, speakers, moderators, panelists and poster presenters are expected to register for the conference by May 1st, 2014 and pay the applicable registration fee to confirm their participation. There is limited time and meeting space available for sessions at CEER 2014; therefore, the plan is to accept a limited number of proposed sessions on key topical issues and concepts. Time allotted for proposed sessions will be a minimum of 1.5 hours and a maximum of 4.5 hours. Be sure to indicate the amount of time you think you will need to conduct the session when developing your proposal. NOTE: CEER 2014 reserves the right not to accept proposed sessions if time/space is limiting, and to cancel any session if deadlines are missed by the session organizers. We will periodically email you the master list of abstracts so you can verify your invited speakers have uploaded/submitted their files. Abstract Submission Deadline (All session presenters are required to submit an abstract via the online abstract submittal form). Session organizers must email us the AGENDA GRID for their session including confirmed speaker names, exact talk titles, the order of presentation and moderator information. We will email you a TEMPLATE to fill in required information. It is a quick and simple process and should not take you more than 15 minutes to complete. THIS GRID IS REQUIRED ON TIME. We will email session presenters the scheduled day, date and time of their talk and specific session assignments. All speakers, poster presenters, moderators and panelists must register for the conference and pay the applicable registration fee to confirm their participation in the program.